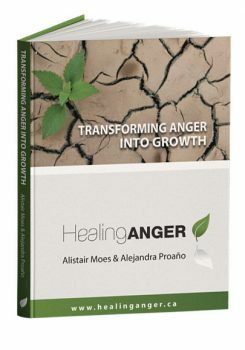 These books have helped thousands of people become more in charge of their response to anger, to others acting poorly, and to the things that trigger them. They lead you through the many ways that help people change. A solid foundation of understanding around anger and the emotions is built followed by a number of “tools” that people can practically work with. These tools have been tried and proven effective by the thousands of participants that have attended Moose Anger Management programs. After reading the book, people experience a deeper understanding of their own anger and gain insight into what is behind this powerful emotion. When this insight is connected to a variety of tools, change happens, people become more intentional, and stay connected to the big picture, what really matters to them, and maintain access their maturity, and their intelligence. Professionals have found these books to be valuable resources. The exercises are explained in detail including the reasoning behind them. The theory is explored in a manner that brings it to real-world usefulness. After reading the book people experience a deeper understanding of their own anger and gain insight into what is behind this powerful emotion. When this insight is connected to a variety of tools, change happens. 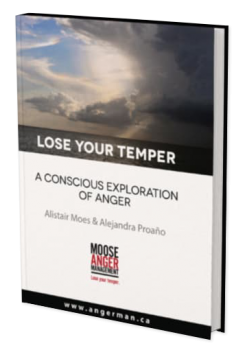 Professionals have found this book to be a valuable resource when working with the issue of anger. The exercises are explained in detail including the reasoning behind them.  Theory is explored in a manner that brings it to real world usefulness. We update the book twice a year. So, whenever you purchase it you are up-to-date with the latest material we are working with. 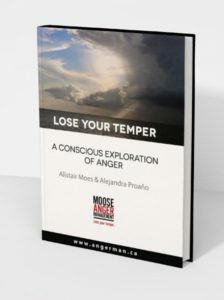 For $20 (plus $5.30 shipping in Canada; other countries, please contact us for shipping rates) you get the wisdom garnered through a 22 years of working collaboratively with people interested in changing what happens when anger arises. This book was so helpful! It put in writing what I’m actually feeling!